New Delhi, Apr 16: A 40-year-old woman suffered head injuries on Tuesday after her saree got stuck in a carriage door of a Delhi Metro train as it was about to leave a station, due to which she got dragged on the platform, her husband said. "Gita and my daughter were travelling from Nawada. 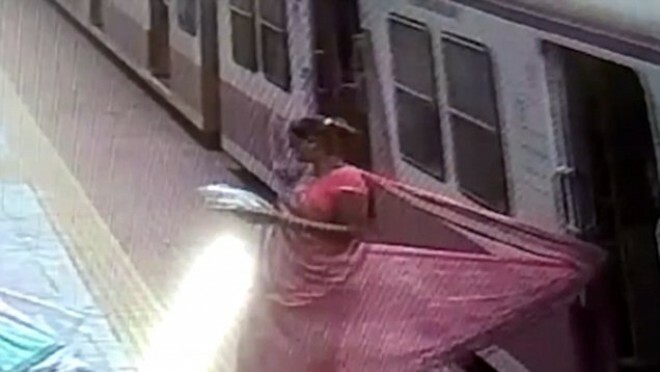 They got off at the Moti Nagar station when the pallu of Gita's saree got stuck in the closing door. As a result, she got dragged for some distance on the platform," her husband Jagdish Prasad said. Gita, a housewife, suffered injuries on her head and was rushed to a nearby hospital, Prasad added. Gita is a resident of the Shashtri Nagar area near Inderlok. The Blue Line of Delhi Metro connects Dwarka in Delhi to Noida Electronic City.